Much of my time is spent in the office working on the stories we feature in Modern Agriculture Magazine, and it is a real treat when I get to visit the farms and farmers in their native habitat. I recently got to spend a whole day in the outdoors, learning about and connecting with the land. 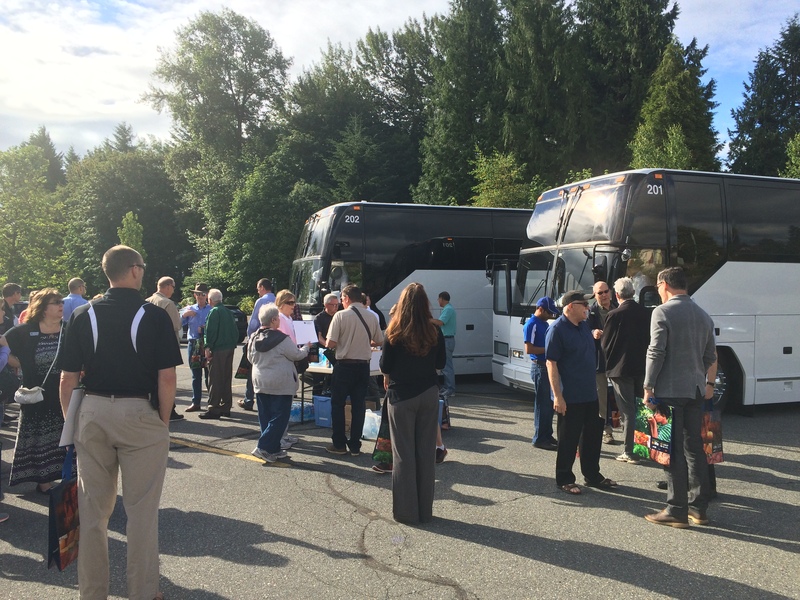 A yearly event I wish would occur once a month, the 12th annual Abbotsford Chamber of Commerce Agriculture Bus Tour was something everyone should experience. 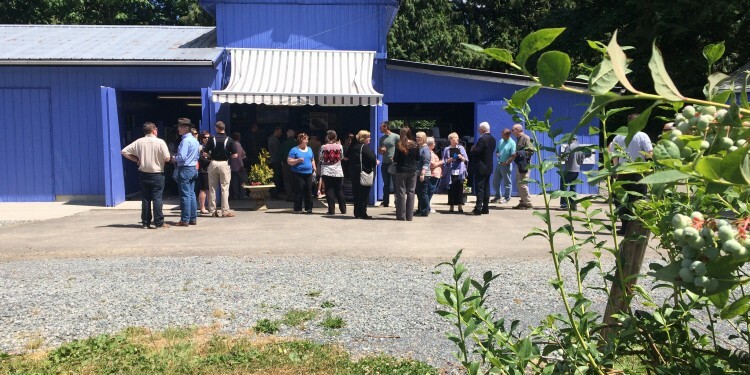 British Columbia is such a beautiful, bountiful paradise and what better way to experience it than touring the farms which are at the heart of the Fraser Valley economy. 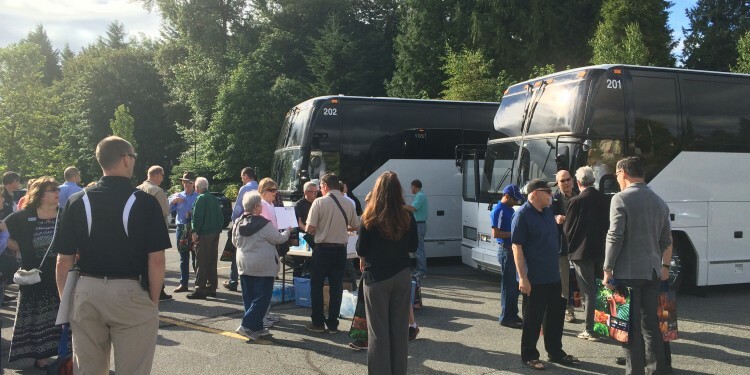 The sun peeked out behind the clouds as a large group gathered to board one of two luxurious Fraser Cascade Charter buses. 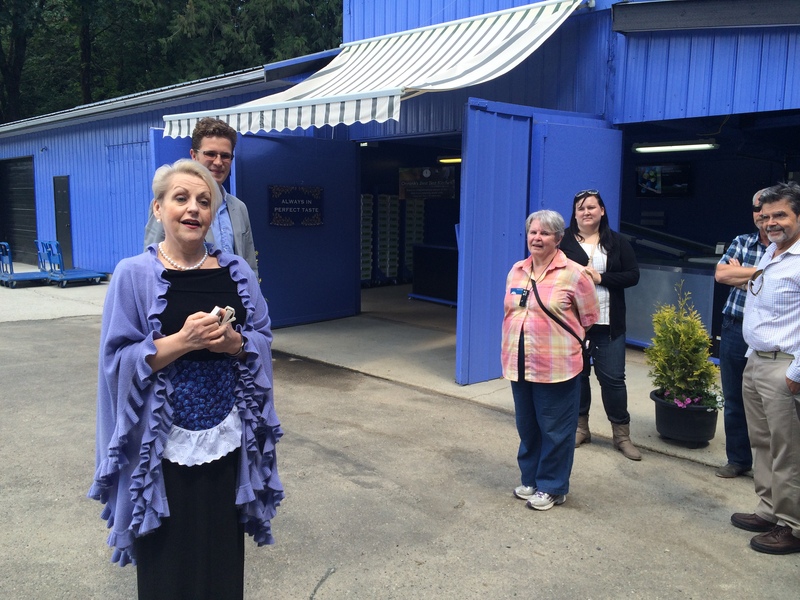 We were greeted by Carole Jorgensen, the Chamber Event Coordinator, and handed a bag of goodies and reading material. 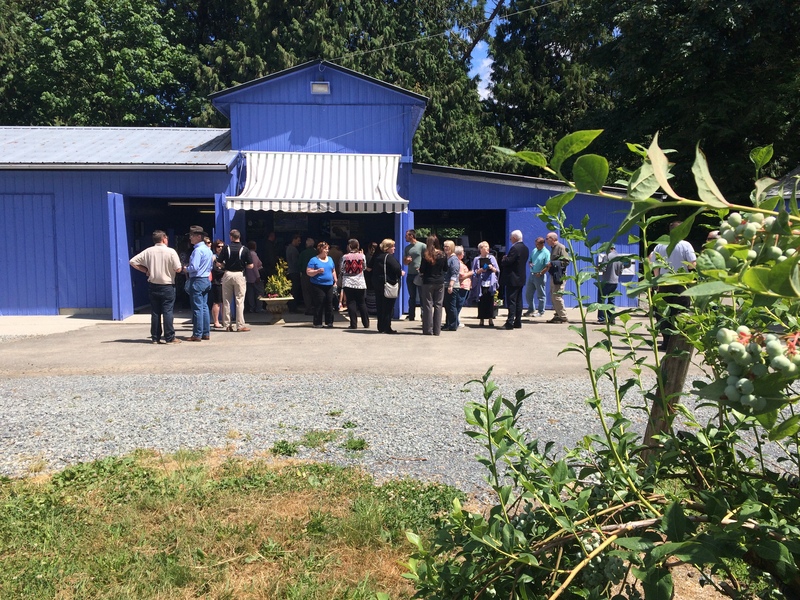 Time for mingling and meeting the rest of the group which consisted of local residents, business people, councilors, dignitaries, media personnel, and agriculture advocates. 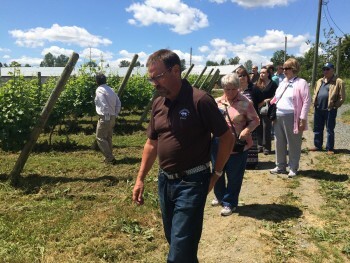 The tour included four farm visits—which are different each year—with lunch and plenty of time for networking. 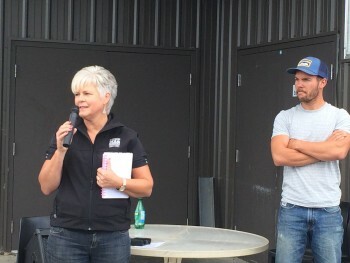 The Agri-Tour was informative as well as entertaining as Gwen Settle of the Abbotsford Farm & Country Market shared facts and stories along the way over the bus’s PA system. 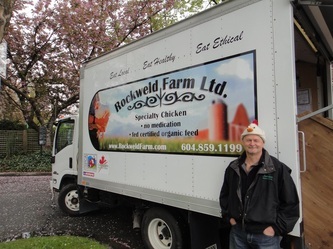 Tim and Flo Rempel raise certified organic fed, BCSPCA certified chicken and eggs. The birds are not medicated, but are heavily dosed with country music. 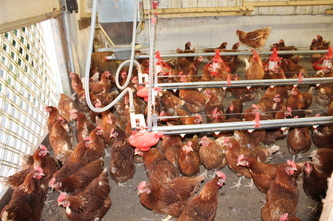 A sound system pipes the chickens’ favourite local station into a large, sectioned barn with ample airflow, water and feed. Tim proudly showed us around his small farm, making sure we got a peek at his prize pets, including Hi Line roosters and crested Polish, housed in immaculately clean pens. Tim and Flo’s son-in-law explained how washing eggs removes the natural protective coating which prevents bacteria penetrating the shell, and keeps the eggs fresher for longer. Many North Americans are so used to buying washed eggs in the grocery store, that the benefits of buying fresh, local eggs from the farm is forgotten. The Rempels sell their whole and pieced chicken, fresh and frozen, as well as eggs and chicken sausage out of their cozy farm store. They also carry local beef and pork products too. You may see them driving their truck around the Lower Mainland, selling direct at farmers markets. In the near future, if you’re lucky, you might get to try Tim’s family favourite fried chicken as he works towards adding a food truck to his fleet. Abbotsford and Mission residents who travel along Highway 11 are familiar with the market on the corner at Clayburn Road. 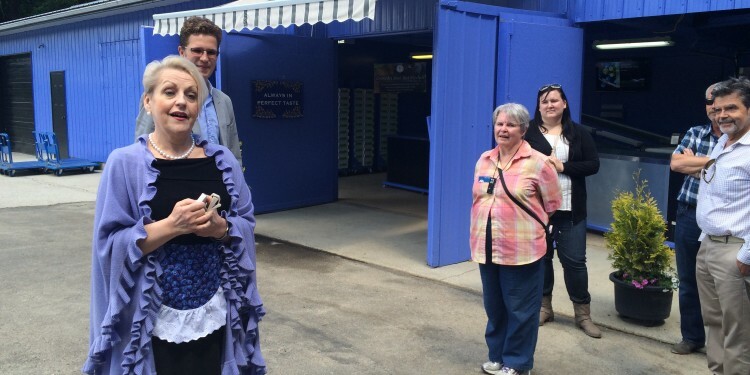 Rob and Charlotte started it all in 1995 selling fresh non-GMO corn from a small hut. The family has always been passionate about agriculture and quality food, and with their extensive farm and foodie experience they were bound to succeed. It’s a family operation, and they have all had to learn as they go. “The public response has been amazing,” Charlotte said, as she described the market opening six years ago with little to no advertising. “We just opened the doors and people came.” The Lepps love giving back to the community which welcomed and supported their agri-tourism dream. The Lepps raise chicken and pigs, and grow various crops which sell in the market and are used to create the fabulous menu at the Farmer’s Table Café. Our tour group got to sample the fare at a fabulous barbecue lunch served under a tent by the chef and an efficient staff. 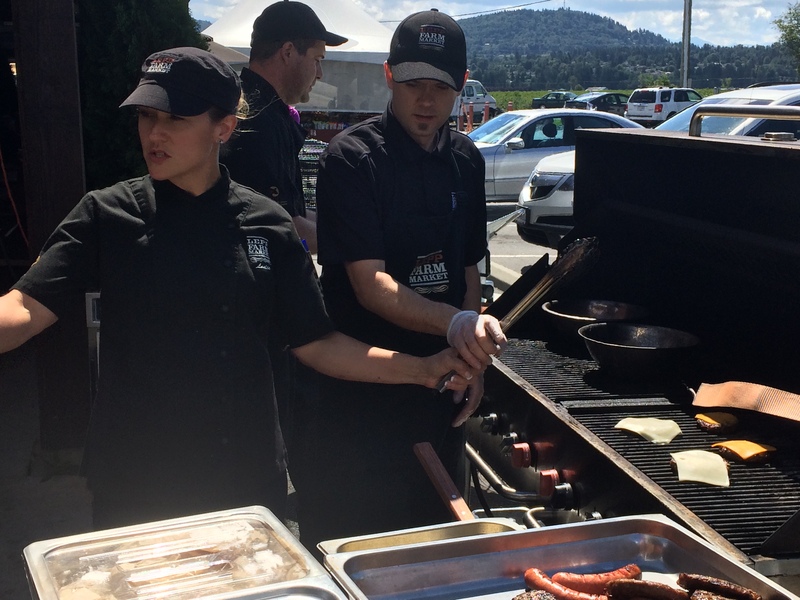 Succulent roast beef, seasoned brisket, beef and quinoa burgers, and smokies were served hot off the grill. 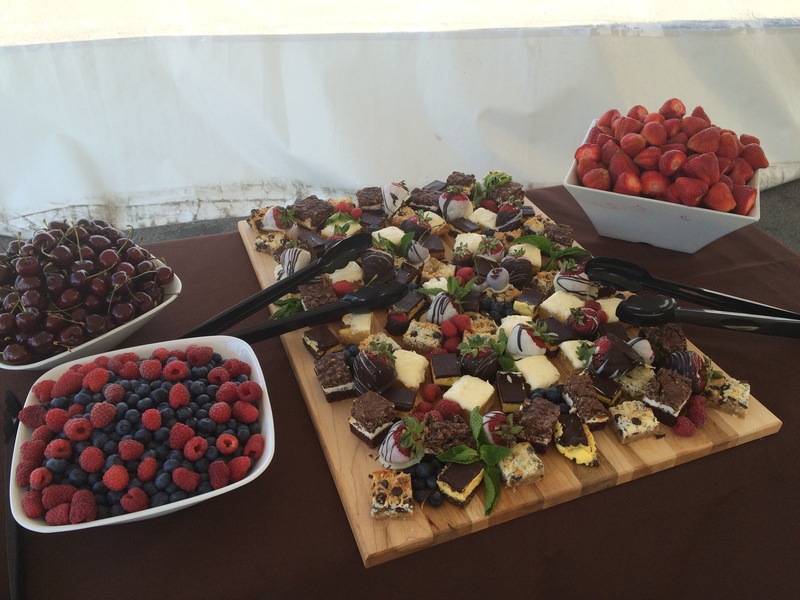 As well we enjoyed an array of fresh salads, decadent desserts and delicious berries. Oh, yeah! Wine tasting . . . need I say more? Well, I will. The setting is gorgeous . . . rolling hills and mountain views, and rows of grapevines into the distance. 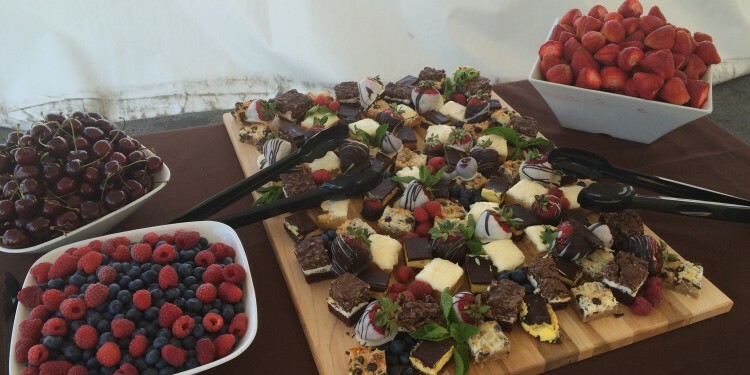 Garnet Etsell walked us to the centre of his Mount Lehman vineyard where he and his wife Debbie plan to erect an event tent for corporate functions and weddings. The outdoor space will complement the tasting room which features whites, red and blush wines to please any wine connoisseur. The warm and inviting room features a large bar crafted from reclaimed maple from their land. Not only did I enjoy sampling the Farmhand White, the Siegerrebe (Siggy) and Pinot Noir, but I also learned a little history: the winery was named after the single harness horse yoke, which was an essential tool for pioneering farmers. The Etsell’s family roots are deep here, and they have been part of the farming community for generations. 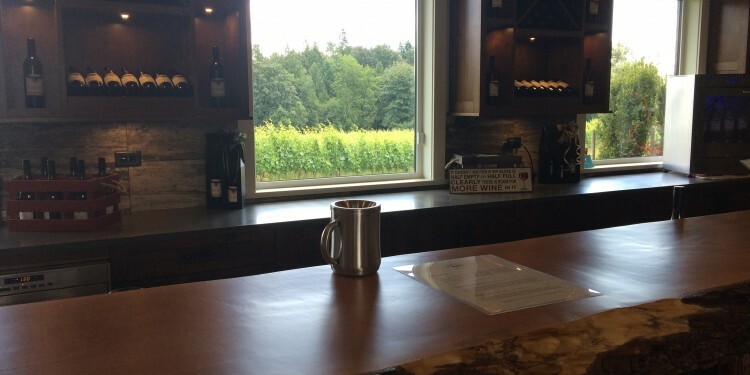 Etsell and his family use grapes from both his Fraser Valley vineyard and the Okanagan to craft their signature wines. The new vines planted last year will take another four years before a full crop can be harvested. 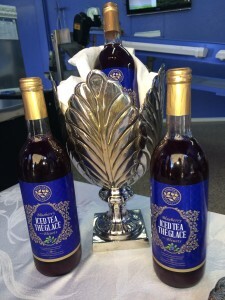 As well as the vineyard and winery, the Etsells raise turkeys and Garnet was happy to show us his large airy barn with computer controlled curtains that raise or lower so the content birds are housed at the perfect temperature. Etsell noted it was safer than free-range conditions where his flocks might be victim to predators and exposed to the bird flu via wild waterfowl. 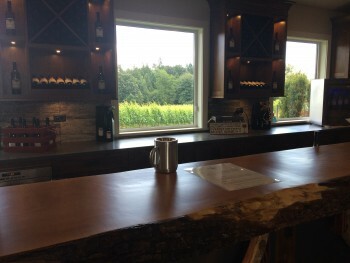 Singletree Winery’s grand opening is in late June and the family looks forward to being part of the agri-tourism experience. What an enchanting way to end the ag-adventure! The blueberry farm is a jewel of a place, nestled in a fairy tale forest, featuring a quaint retro-style café selling blueberry iced tea and coffee, baked goodies and chocolate bon bons. The buildings are blue, the fences are blue, the trailers and equipment are blue, and soon the bushes will be blue with eight varieties of berries (Northland, Duke, Reka, Big Blues, Draper, Brigitta, Elliot, Liberty), all unique in flavor, destined for local markets, wholesalers, and the products sold from Onninks Blueberry Farm. You can even order online! Environmentally conscientious, Onninks welcomes scientists and students to use their farm to explore sustainable practices. Nature takes care of Onninks; bees pollinate, ladybugs feed on aphids, and the hawks—encouraged to nest there by the owner’s father—keep the birds and rodents in check. We had a hard time leaving when we were ushered onto our bus for the trip home. But I will be back, to all of the wonderful places we visited . . . with friends and family in tow! What great places for summer visitors to explore while learning about agriculture, food, and beautiful BC! I want to thank the farmers we visited on our local safari. 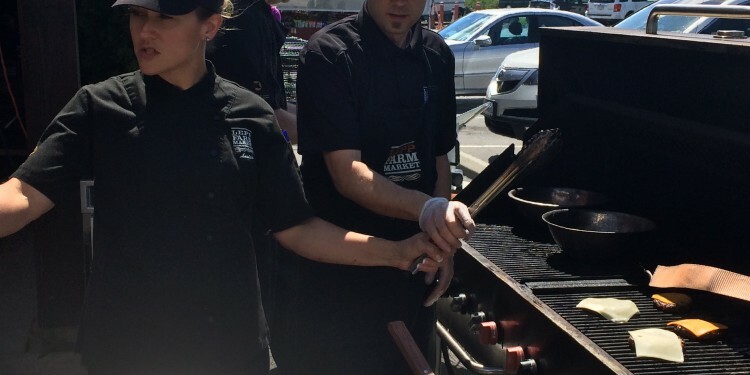 I enjoyed the samples and appreciated the knowledge passed onto us. I even bagged a bottle of wine! Cheers! Consumer education continues to be a challenge when it comes to agriculture. Local farms which encourage visitors and create agri-tourism opportunities will help inform the public and reap the benefits of a mutually satisfying relationship. 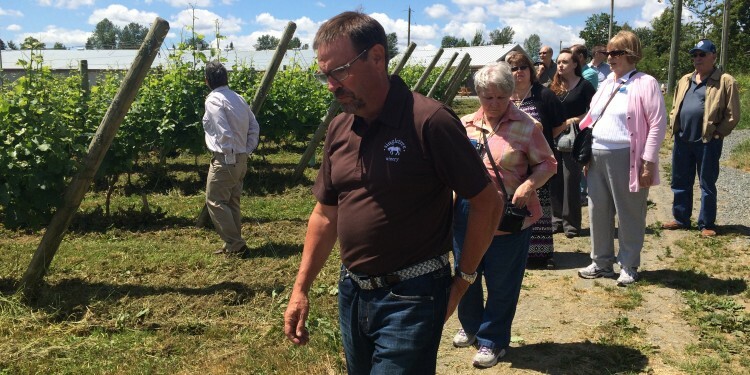 Watch for next year’s Agri-Tour event with the Abbotsford Chamber of Commerce, and make sure to visit your local farmers and thank them for all the work they do to keep us happy and healthy! Comments or Questions encouraged below!